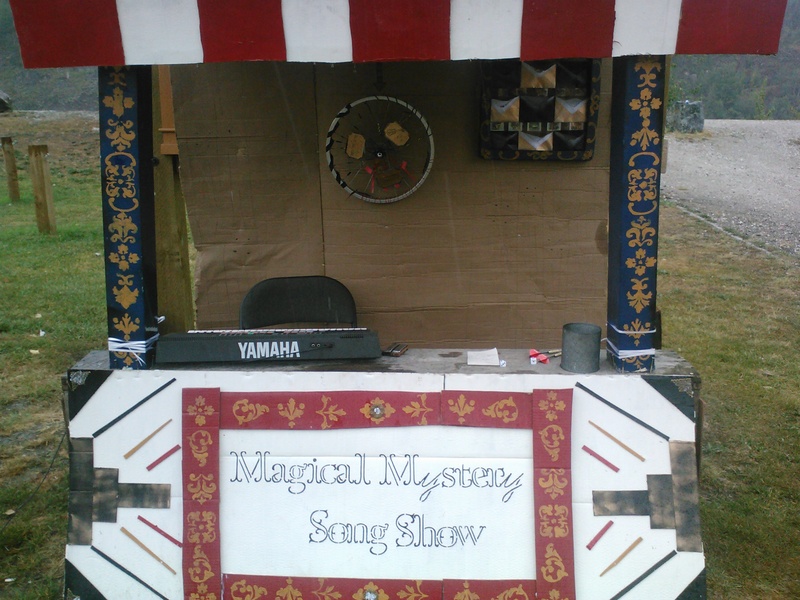 This year for Riverside Arts Festival in Dawson City I’ve made a musical installation and performance where you play games of chance to determine elements of a song that I write up about you on the spot. 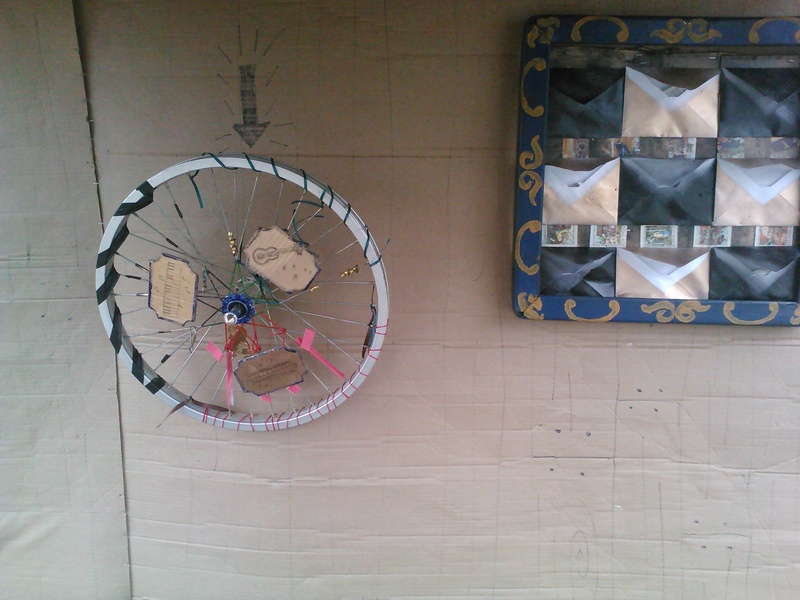 Spin the bike wheel, and where it lands tells me which instrument, (ukulele, yamaha keyboard or harmonica) to play. Throw a dart onto decorated envelopes to reveal something about yourself, like the last book you read, or your lover’s secret name for you. Roll the dice to tell me one last thing about yourself… and BAM I write a song about you, right away. It was a great success, and the beauty of small-town life is that I knew many of the people I wrote songs about, which made it easier. And, I got to practice my new keyboard and dust off the ‘ol harmonica. I didn’t anticipate how popular the booth would be with kids, so ‘adult’ questions, like how do you like your coffee, needed to be changed on the spot. Will plan that into piece next time. Finally, combining carnival work, music, spontaneity and art all into one.